Many of you already know, my family and I love a good movie night. We do it pretty often, especially in the Fall and Winter. It gives us time to come together and watch a family movie that we can all enjoy while munching on a few snacks. So last week I shared with you guys a couple different options you could serve when hosting a How To Train Your Dragon 2 Family Movie Night. If you haven't checked out those recipes yet, head on over. The Swamp Water and Dragon Treats were a big hit in my house and goes great when watching the movie. Last week we received a box filled with not only the How To Train Your Dragon 2 movie, but also party plates, napkins, cups, snacks and stickers and activity sheets for us to enjoy during our family movie night. The treats were a great add. So after dinner last Friday, we all got ready and settled down in our family room and took out our treats to eat. The kids absolutely loved munching on some of their favorite snacks while watching the movie. The hubby and I even enjoyed a few snacks as well. From beginning to end the kids couldn't take their eye off the movie. They were excited to see not only their favorite characters from part one, but also to see some new characters in the movie. They're super excited to see the third movie already, I am too! Filled with lots of action and a great story line, I loved how there was lots of humor in the movie as well to keep everyone entertained. 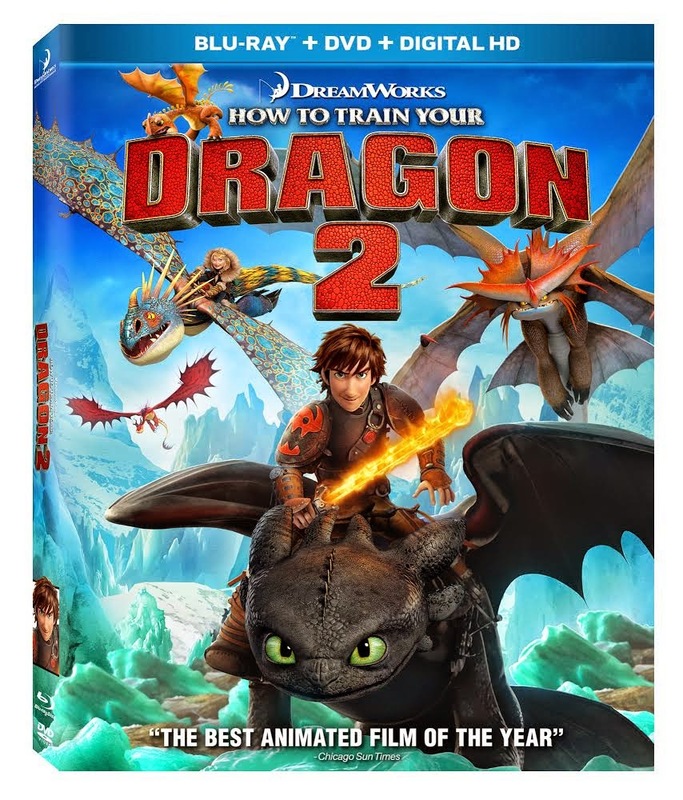 How To Train Your Dragon 2 is now out on both Blu-ray and DVD in stores now. This would definitely be a great Holiday gift for the entire family. We had such a great night watching part two and can't wait to take the kids to see part three whenever it comes out. Disclosure: All opinions are my own. I received How To Train Your Dragon Movie Night Kit at no cost for the purpose of this review. No other compensation was received. Fall 2014 Playlist: What Are Your Listening To?